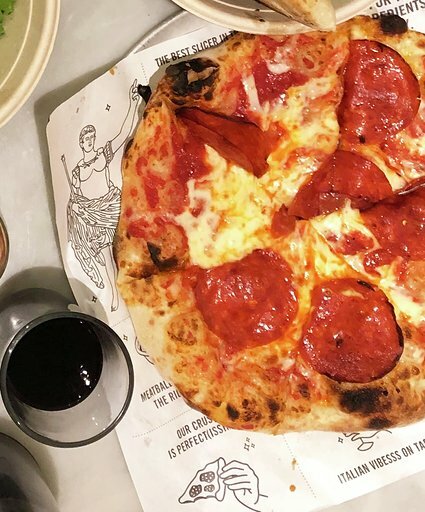 For those of you who know me, pizza is one of my main food groups - so when Pizzeria Locale invited denv.her. and friends out for a girl's night - I was V excited lol. 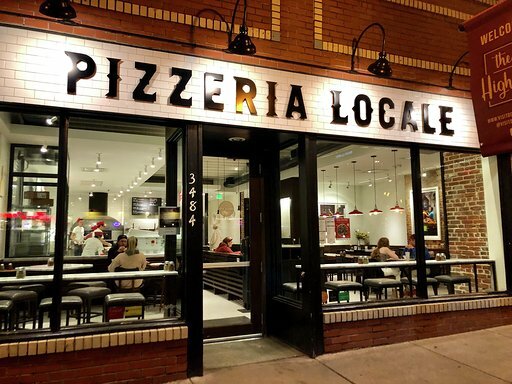 There are three Pizzeria Locale locations in Colorado - one in Boulder, one off of Broadway, and one in the Highlands. We visited the highlands location! 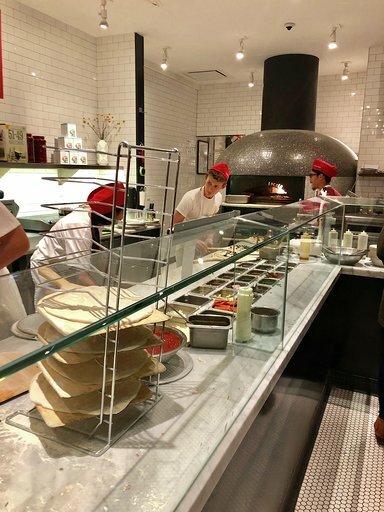 Pizzeria Locale has a nice modern feel to it & they pump out their personal, fast-fired pizzas in two minutes in their 900 degree oven. 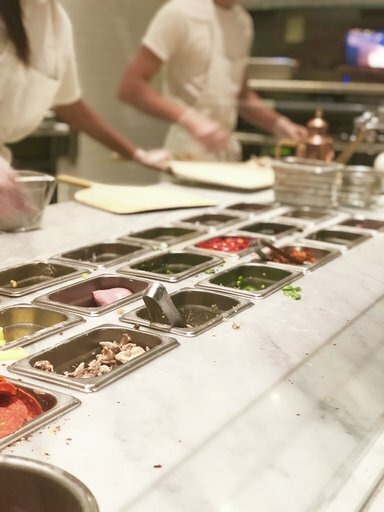 Right when you walk into Pizzeria Locale, you're immediately hit with that tantalizing, authentic pizza aroma #giveittome. The girls and I were super hungry so couldn't wait to get our hands on these fresh, Southern Italian inspired za's. For sides we ordered two Antica Salads and for dessert we ordered the Nutella Pizza #gasping #drooling. Pizzeria Locale offers two wine selections - a white and red, Locale Bianco and Locale Rosso - both are presented on tap. We got a bottle of white and red naturally #nowineleftbehind! After ordering - we made our way to one of the booths and started sipping on our wine and enjoying our Antica Salads. 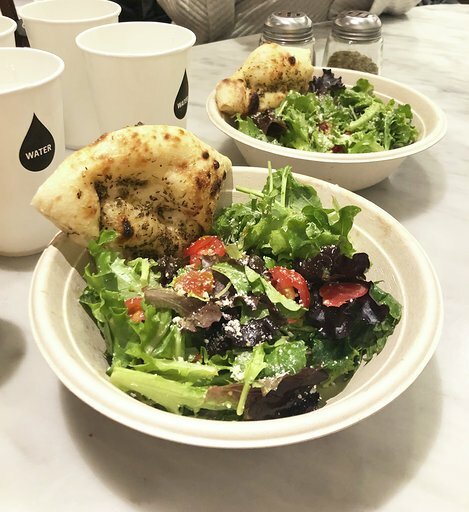 The Antica Salads are made with mixed greens, grape tomatoes, cucumbers, parmesan, red wine vinaigrette and foccacia bread. We all were crazy about these salads you guys. The dressing was spot on and the white wine paired with the salad made it even better. This is a must order when dining at Pizzeria Locale! Pizzeria Locale's staff was lovely and made sure we had everything we needed to enjoy a fabulous meal - shout out to manager Liz for being such a doll. Our pizza's were brought out quickly and piping hot. My friend Kali eagerly asked, "What does each pizza say about each girl?" lol lol. So let's explore while I give you the run down of our dinners and our girlfriends haha! Alisha - Red Pizza, Pepperoni - made with sauce (extra, extra red sauce upon request), mozzarella, basil. 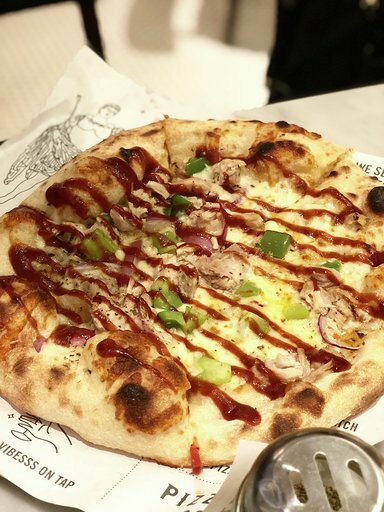 Diverting from the standard menu - this is a unique pizza with a tangy kick! Jen - Red Pizza, Supreme - made with sauce, mozzarella, pepperoni, sausage, mushrooms, red onion, green peppers. Has something that everyone will like! V tasty and covered in toppings. Red hot, red hot! This pizza will hoodwink you with it's spice. All of us really enjoyed our pizzas and the white and red wine went smoothly with each. 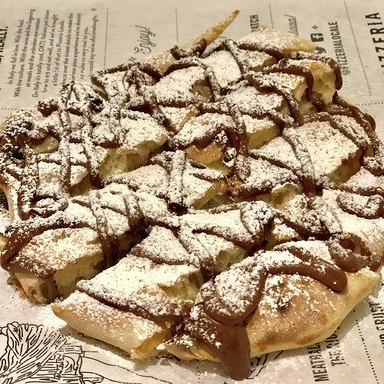 Our Nutella Pizza then came out for dessert and this powder sugared pie was delish. See all you Denverites there - buon appetito!